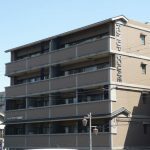 What’s about KYOTO REAL ESTATE? In Japan, non-Japanese customers can buy, sell, and own real estate even non residents, can hold ownership forever. Besides the ownership, it's allowed to buy real estate for revenue purpose, to obtain rental income. There is no limit to the acquisition of real estate, it's also possible to inherit and possession of land in Japan. In addition, there is Machiya specific to the ancient capital of Kyoto. While many Machiya is decreased, people other than Kyoto buys building, renovate to restaurant, change to Machiya guesthouse, or use it as second house, operating, managing and holding in many ways. 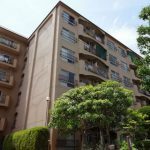 We House Network Co., Ltd. also work for property management, leasing brokerage, guesthouse operation, can support asset management after purchase of properties in Kyoto. Please feel free to contact us for real estate in Kyoto.